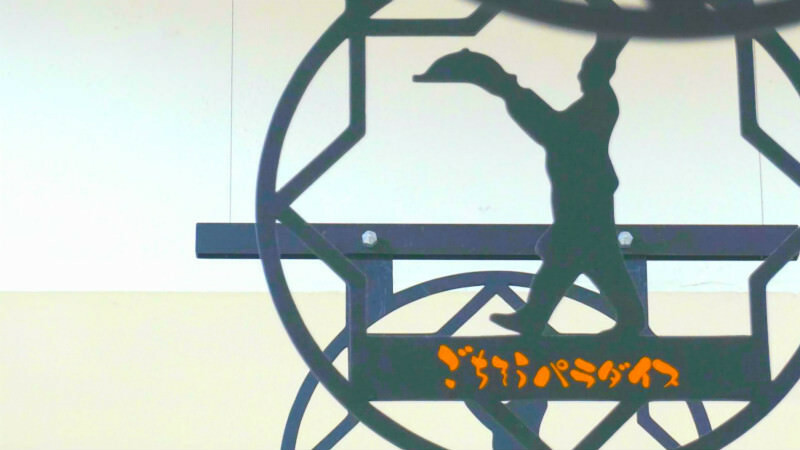 Let's enjoy shopping for a day in the shopping town of Kawaramachi! If you want to enjoy shopping in Kyoto I recommend Kawaramachi! 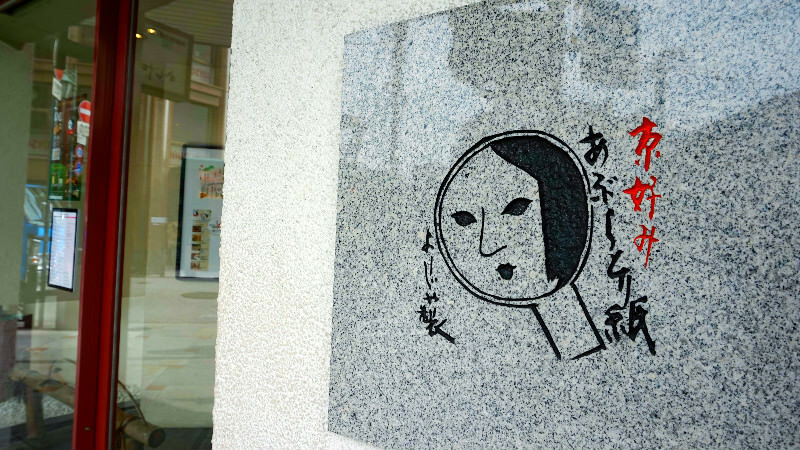 We have a fun shopping guide by Sharing Kyoto’s female writers! Kawaramachi is one of the busiest districts of Kyoto. 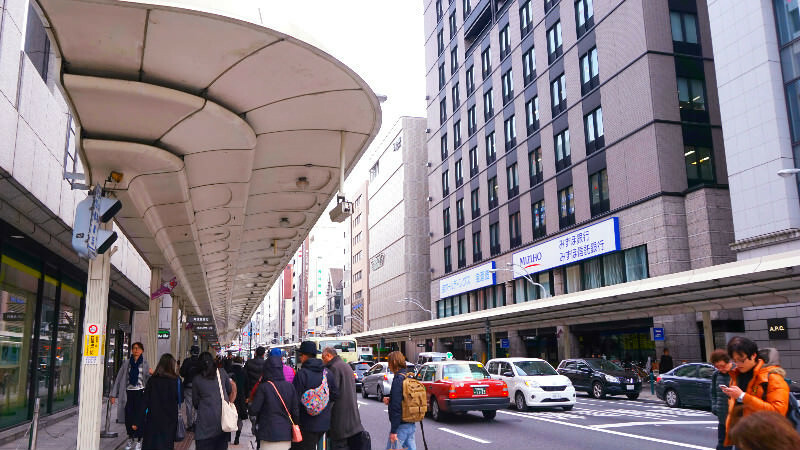 There is no end to the charm of Kawaramachi by Shijo-dori Street and Gion with Yasaka Shrine and Hanamikoji Street, and these areas are full of shops from souvenirs to places popular with the locals. 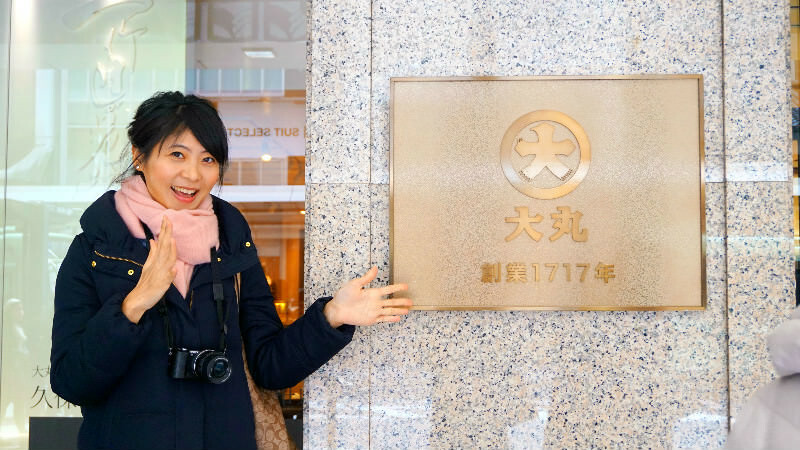 I’m going to tell you how to fully and efficiently enjoy this area in a day, from the perspective of a Sharing Kyoto writer! 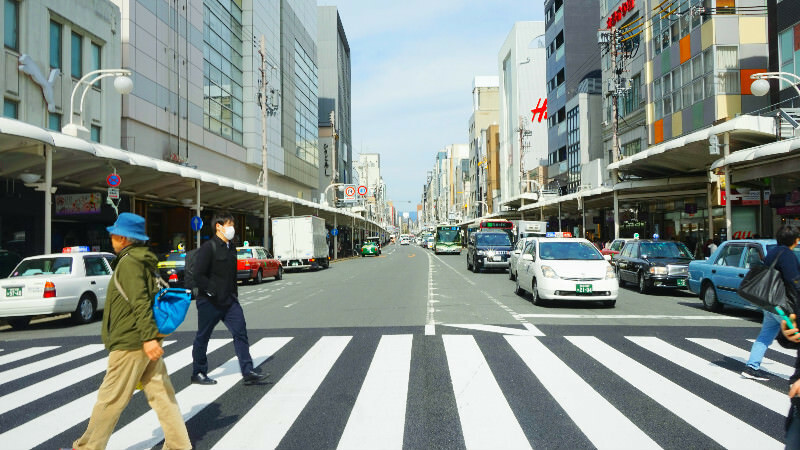 The start of our Kyoto shopping tour is from the lively street of Shijo-dori! We got off at subway Shijo Station and are now heading straight east. There are many famous Japanese department stores by Shijo-dori Street. 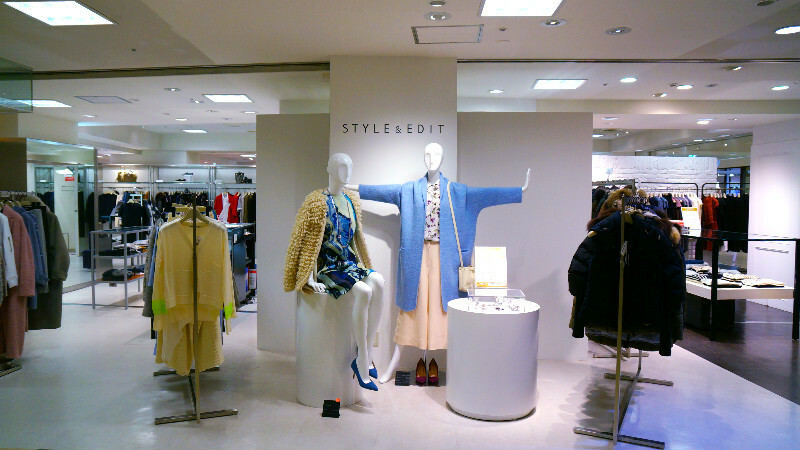 Let’s stop by these department stores while we head for Kawaramachi! Daimaru is so famous in Japan that many people think of Daimaru when they hear the word department store. 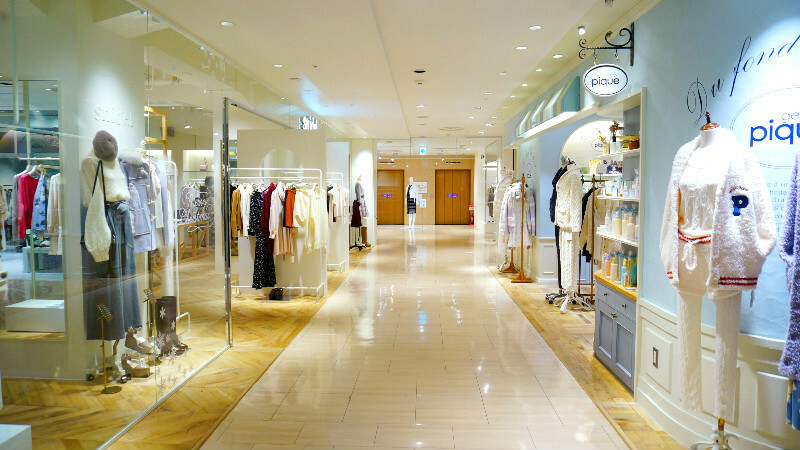 Daimaru’s Kyoto store is directly connected with subway Shijo Station so going there is really easy! A shopping trip to Kyoto has to start with Daimaru. The first floor is cosmetics, the second floor is fancy brands, and so just looking at all these clothes makes you excited! 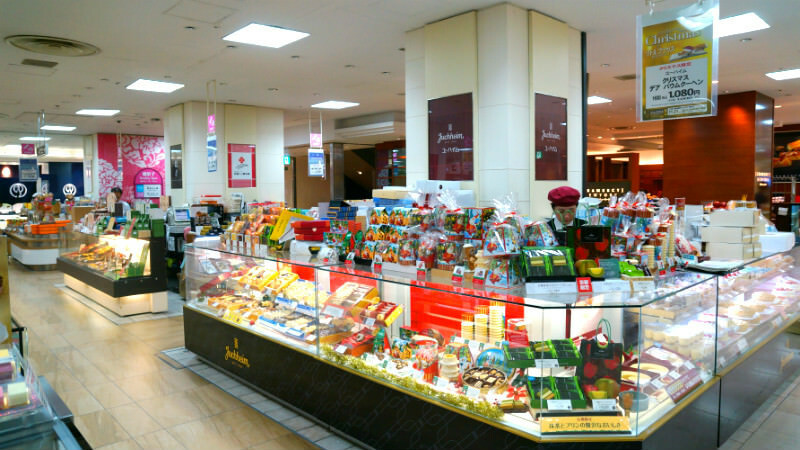 If you go to a department store, you of course have to also go see the “depachika” deli floor in the basement. Daimaru’s Kyoto store also has a “Gochiso Paradise” in the basement, where they sell delicious food, bread, and Kyoto’s traditional Japanese sweets among other things. The place is worth a see even if you just pop by for a minute, so I hope you will go see the basement too if you go to a department store. 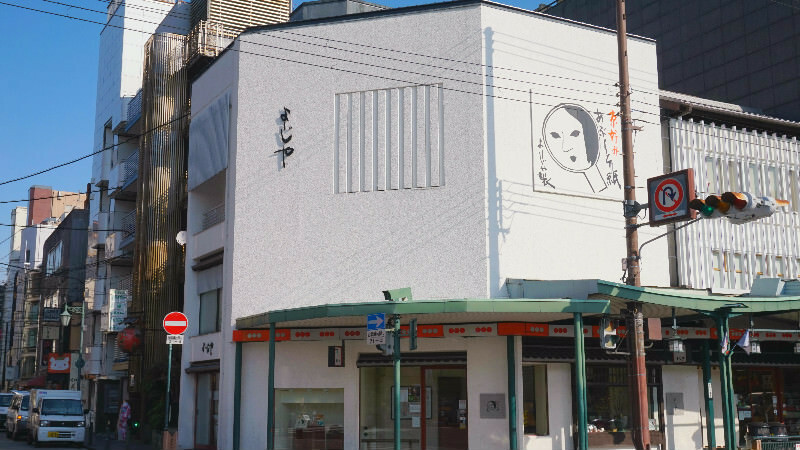 After shopping at Daimaru Kyoto, you want to head to Fujii Daimaru a 5-minute walk away. 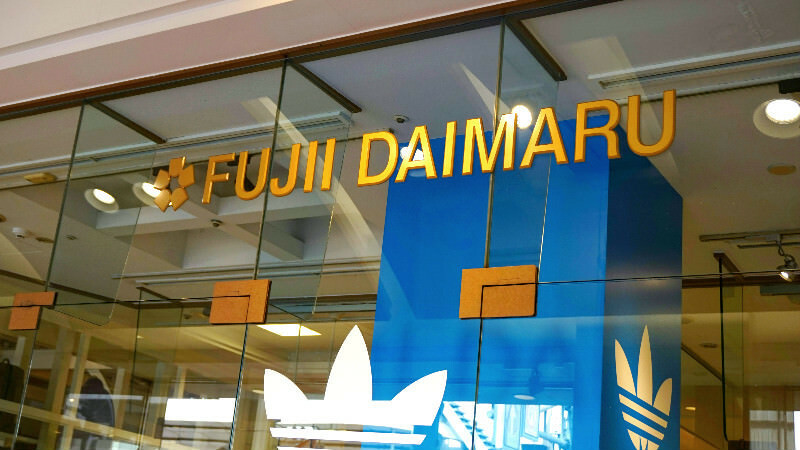 The shops inside Fujii Daimaru are mainly “select shops” and apparel brands popular with twenty- and thirty-somethings. The stores are always lively with friends who have come shopping together and couples. By the way, Daimaru Kyoto and Fujii Daimaru have very similar names but they seem to have no other connection. 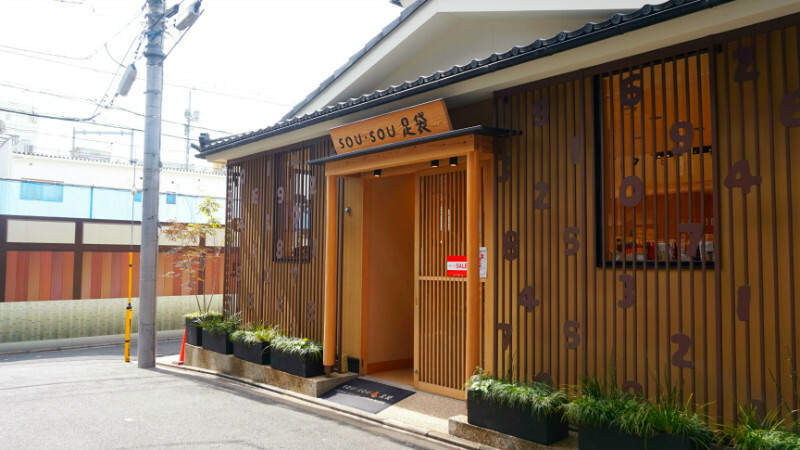 Daimaru Kyoto is aimed at families and is more expensive, whereas Fujii Daimaru is more casual and aimed at younger people. After leaving Fujii Daimaru behind, when you head east you will get to a big intersection. In this corner you can see Takashimaya. 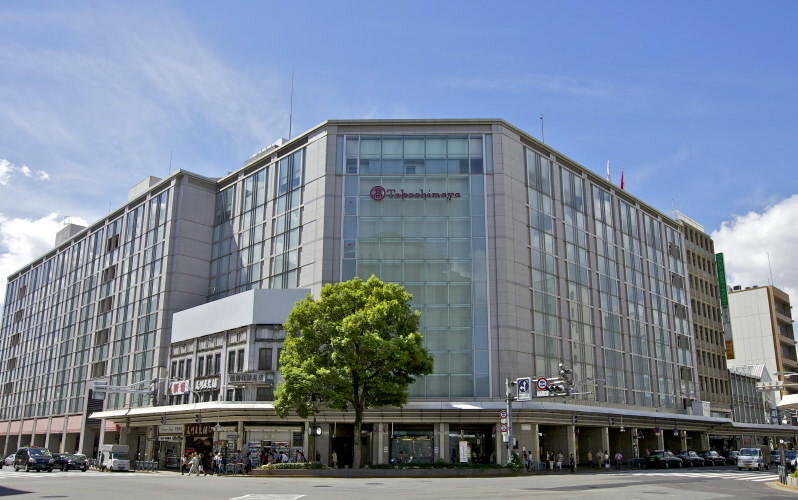 Takashimaya is one of the most famous department stores of Japan, around neck and neck with Daimaru. The old established department store of Takashimaya has always been loved by the people of Kyoto. Inside the department store you can also find the old established Japanese sweets café of Tsukigase where you can have a break if you get tired. 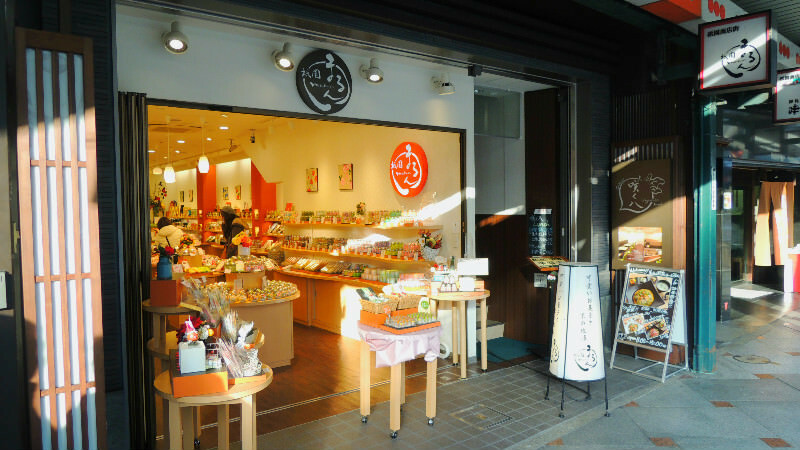 Buy some souvenirs for yourself at the locally loved shopping arcade of Teramachi! After going round the department stores of Kyoto, let’s go into a street that is a bit deeper. On the opposite side of Fujii Daimaru there is a sign that in red big letters says “TERAMACHI,” and the shopping street of Teramachi starts from there. 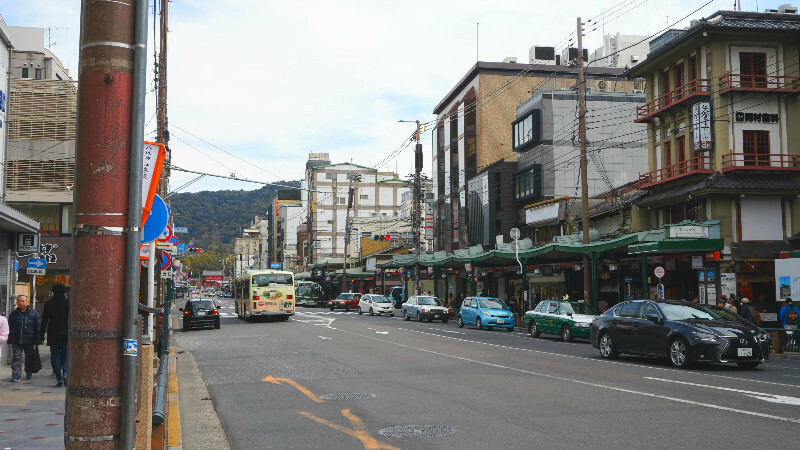 This street is the Teramachi Shinkyogoku Shopping Arcade, of course loved by the locals. There are around 170 stores lining up by the street. The street has an arcade so it’s a great place to go even if it rains, so I hope you will go! They sell clothing for both men and women so this store can be enjoyed by those on a date too. 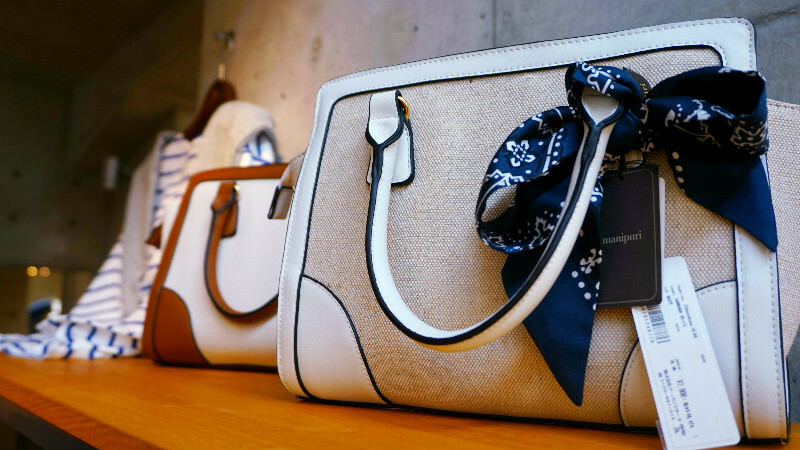 They have a good selection of cute clothes and bags, from international designer brands to high quality Japanese brands. Vanessa found something so cute she just had to pick it up. It’s fun to just look around the shop without intending to buy anything. 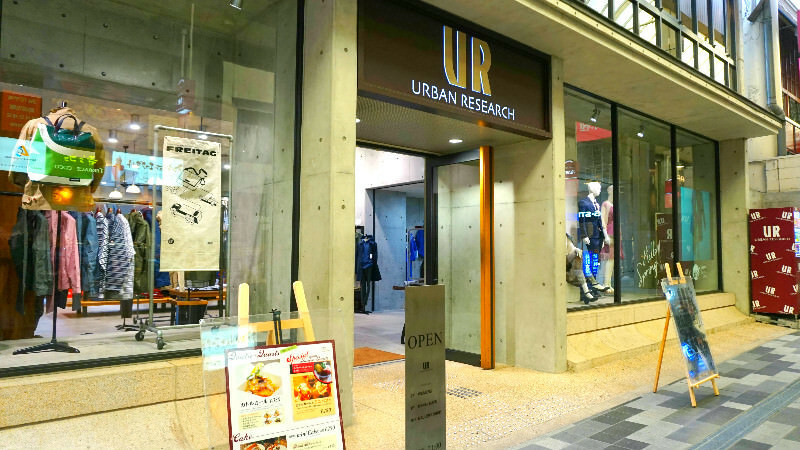 By the way there is also a café inside URBAN RESEARCH KYOTO which I heartily recommend. I think this clothing store is very charming. Next I’m going to introduce to you a store selling socks called Sou·Sou Tabi. 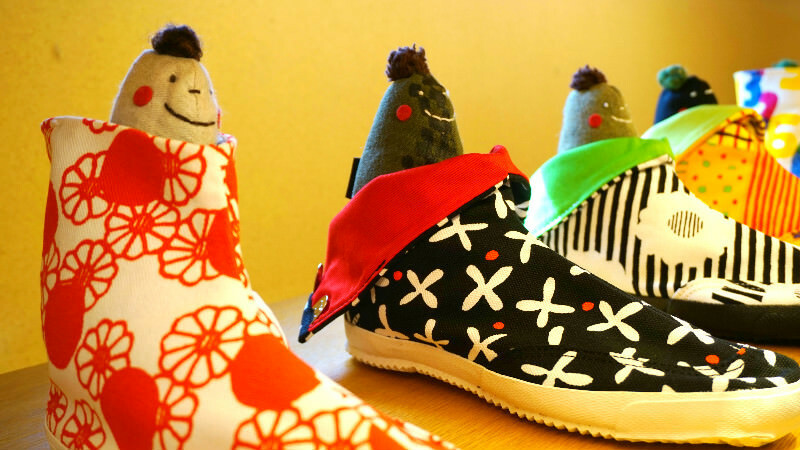 Tabi are socks to be used with traditional Japanese clothes like kimono, and this store has designed and made them cuter, and more accessible. In the back you can see the entrance of Sou·Sou Tabi. You will know the store from the cute numbers hanging from the walls. 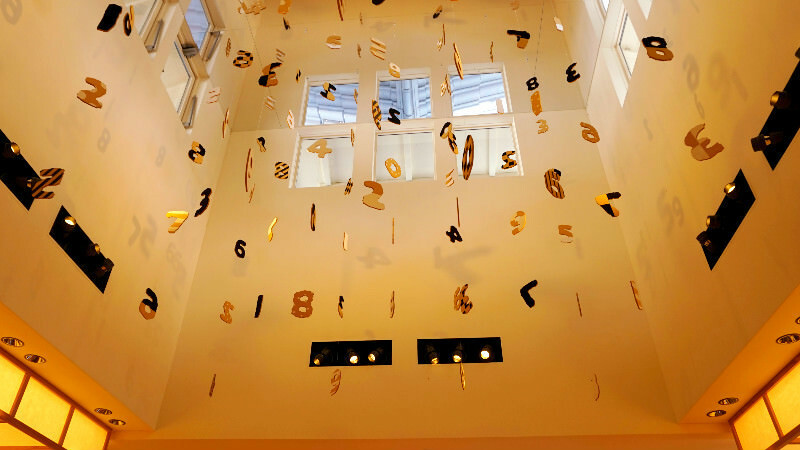 When you go inside, you will again see the numbers if you look up. These numbers are the emblem of Sou·Sou. They carry a wide array of tabi socks, from normal sock like ones to ones that are almost like sneakers. Inside they also sell other items like smartphone cases with the same patterns as the tabi socks, and the atmosphere is fun. This is one of the shops I wish you will visit. Shopping for two to three hours is quite tiring… and when you get tired, you wish there would be a restaurant you could enter right away and relax with delicious food. Rest assured. There is a restaurant where you can leisurely enjoy a nice lunch in the business and shopping district of Kawaramachi! So without further ado, we have the soba and sake restaurant of Nakanokoan. You can get to Nakanokoan by going the opposite way from Teramachi shopping street, on the street by Fujii Daimaru. 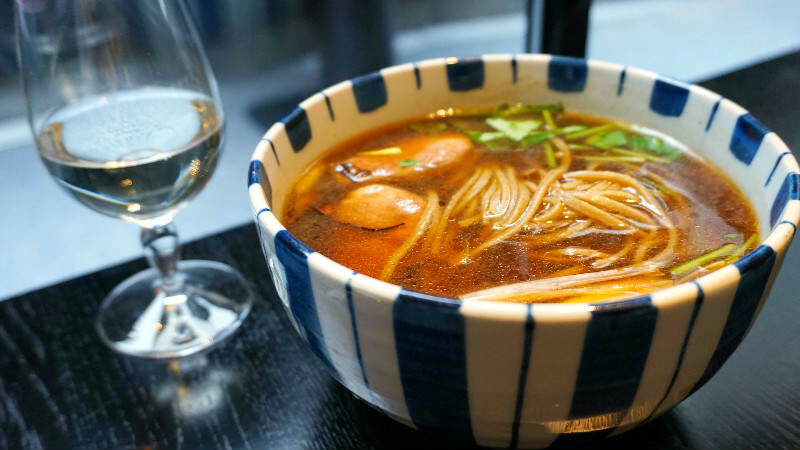 The appearance of the restaurant may look like it was really fancy, but it’s ok. Because of the friendly service and relaxed atmosphere, it’s easy to spend a leisurely moment here. 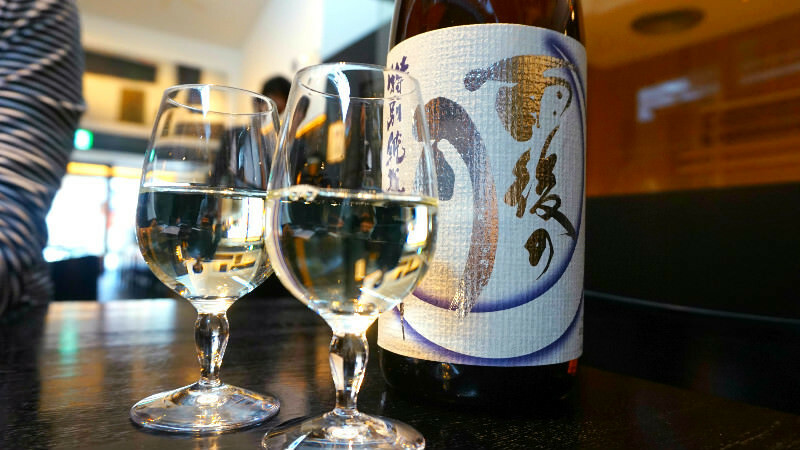 They are open from noon to night, so you can drink sake from noon! 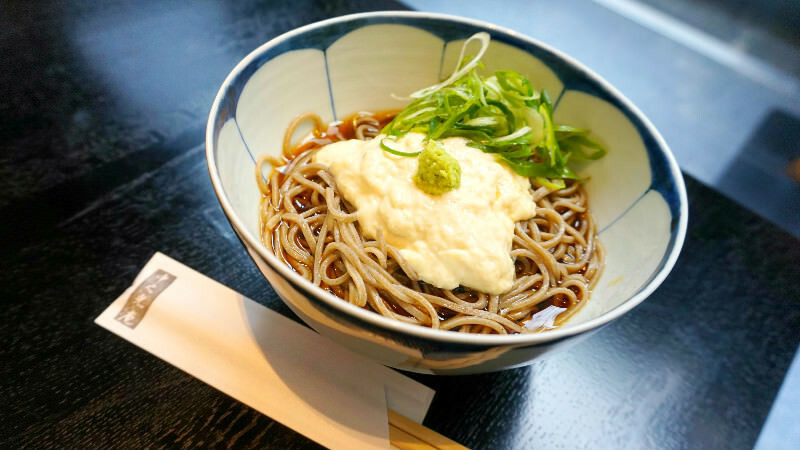 The fresh soba made every day by hand is delicious no matter hot or cold. The restaurant’s specialty, duck, is fatty and juicy. Having a cup of sake in a mature space with delicious soba… great. Second round of shopping in Gion! After getting our bellies full, it’s time to head for the quintessentially Kyoto district of Gion. There are many souvenirs unique to Kyoto in Gion. 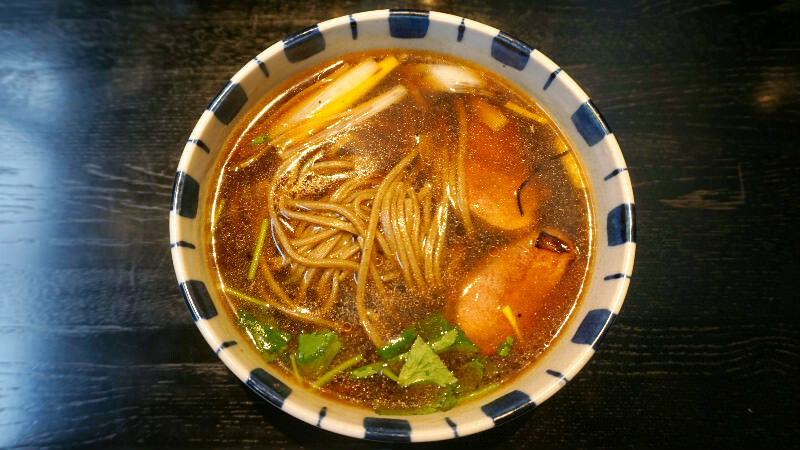 For friends, lovers, and family, there is something for everyone in Gion. After crossing the intersection between Shijo-dori and Kawaramachi-dori streets, we head for Gion. 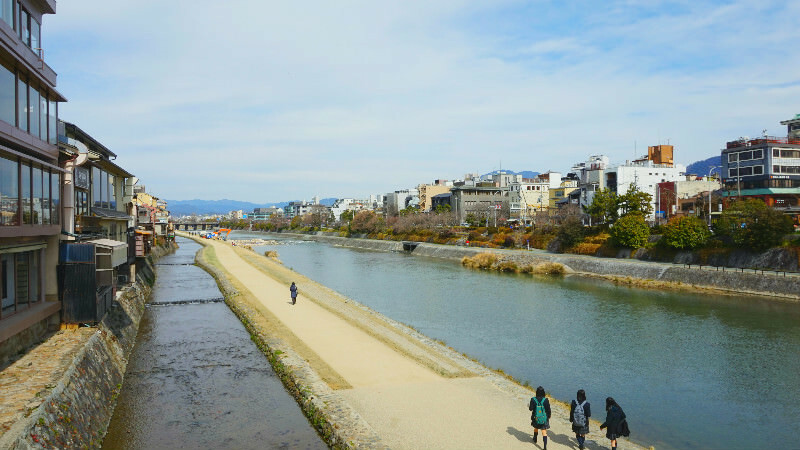 The Kamogawa River is on the way to Gion. This river is a symbol of Kawaramachi. Many locals walk by the river every day. Just looking at people walking by the river makes you feel relaxed. On sunny days many people also sit by the river eating a bento box or some bread. The first souvenir shop I want to introduce is Gion Marun. 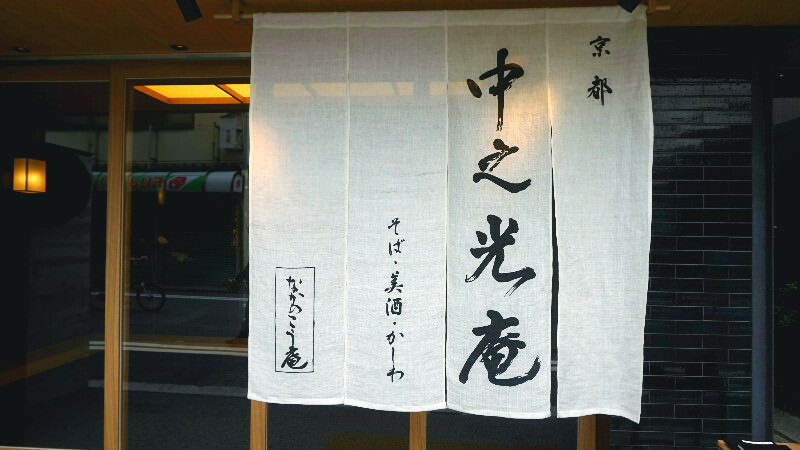 This souvenir shop selling food items is close to Tenshu famous for their tendon and the restaurant Saryo Tsujiri. 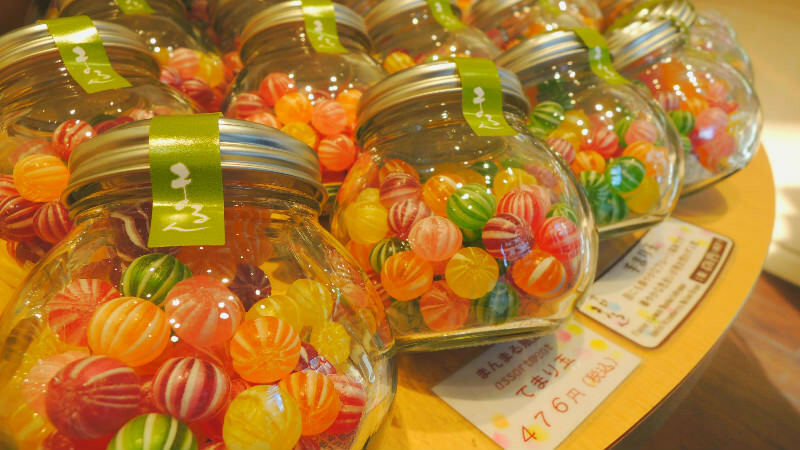 They are most famous for their candy called “Temaridama.” The small, round candy look almost like marbles and are really cute. It’s hard to decide what to buy! 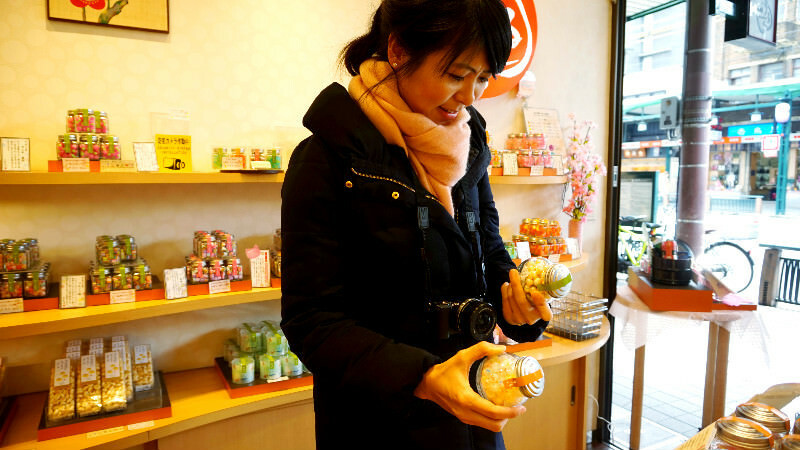 At Gion Marun there are many cute and photogenic souvenirs that are sure to interest women. 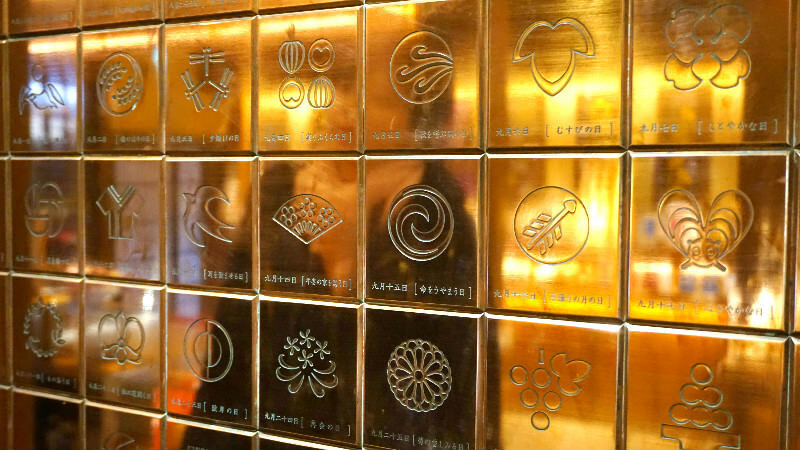 And when talking of famous Kyoto souvenirs, you can’t forget Yojiya and their very unique logo. 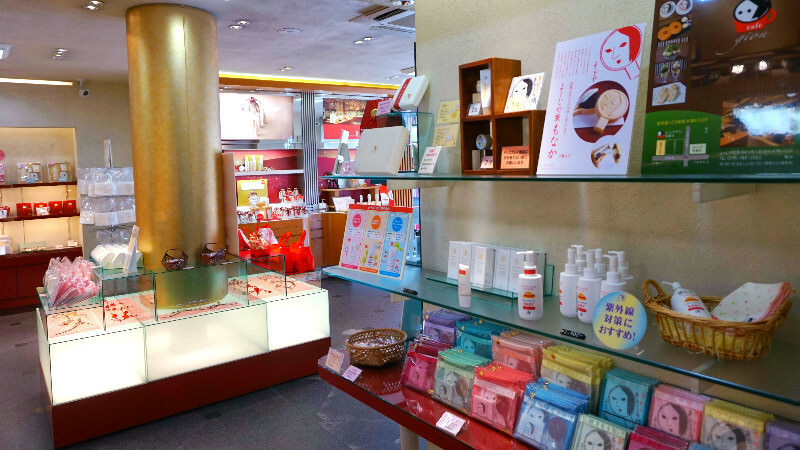 Besides their famous blotting paper they also sell eau de toilette, lip creams, and other cosmetic products. They are all great products, but among them the one that gets the Sharing Kyoto writers’ recommendation is the eau de toilette with its fresh and somewhat Japanese fragrance. It’s good as a present, or maybe get some for yourself. Lastly we have a chocolate shop called CACAO 365 by the famous chocolate specialty store of MALEBRANCHE. 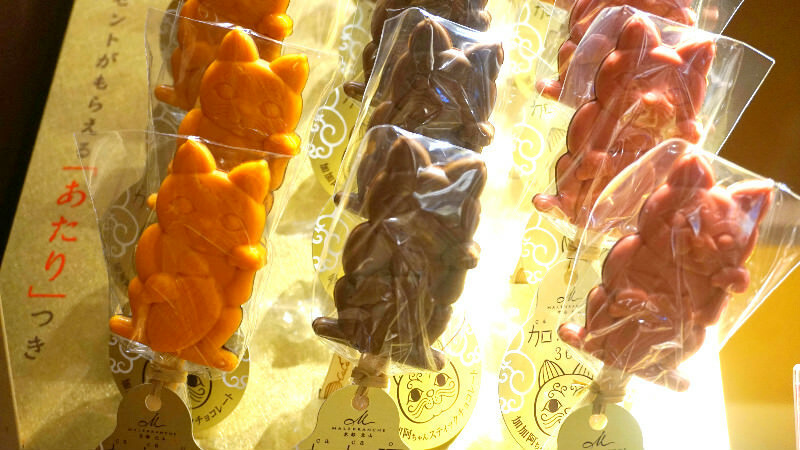 CACAO 365 has their shops on an area crammed with expensive kaiseki and sushi restaurants. 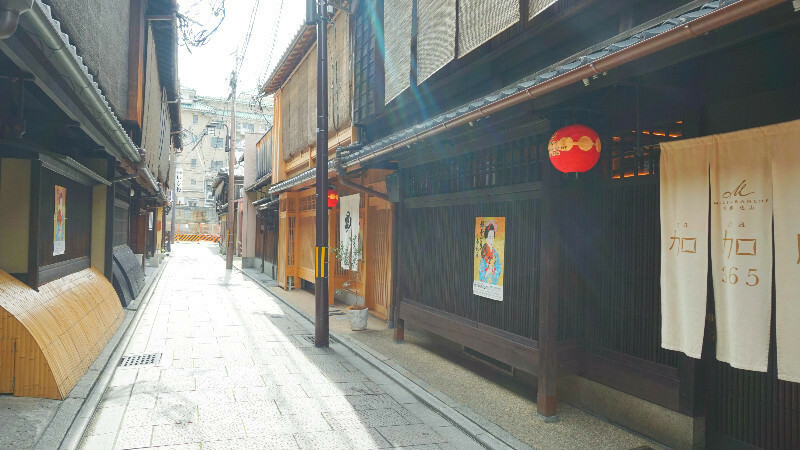 The stone pavement and machiya town houses make the area look even more quintessentially Kyoto. 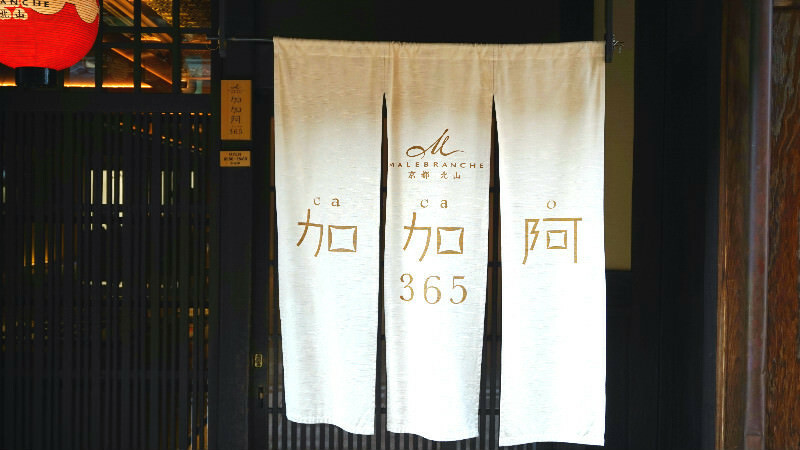 The concept of CACAO 365 is “Living with cocoa in Kyoto-style, 365 days of the year.” According to its concept, at CACAO 365 they have chocolate for every day of the year and on one day you can only buy the chocolate of that day. Thinking how you can only buy that chocolate that very day feels special and has a certain appeal. Here are the symbols that are on the days of the year chocolates. I hope you will have time to look what the symbol is for your birthday. 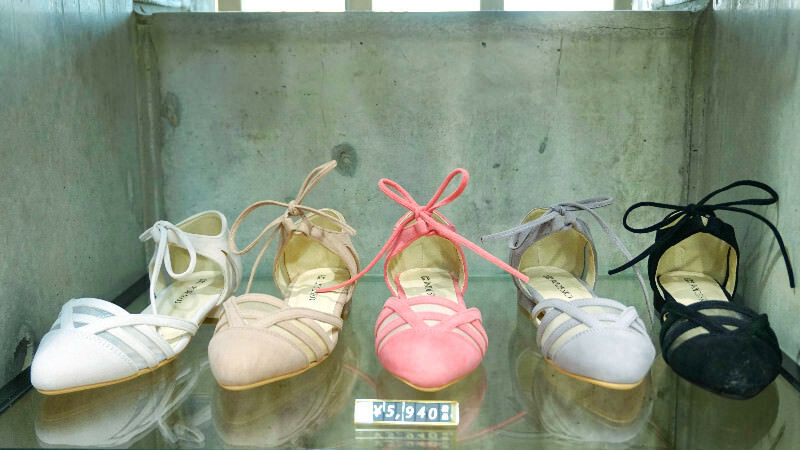 There are many great shops in Kyoto, and this time I could only talk about few of them. There are many more great shops, next to these shops, and even behind them. I hope you will use this shopping guide to make your shopping trip to Kyoto an even greater one. 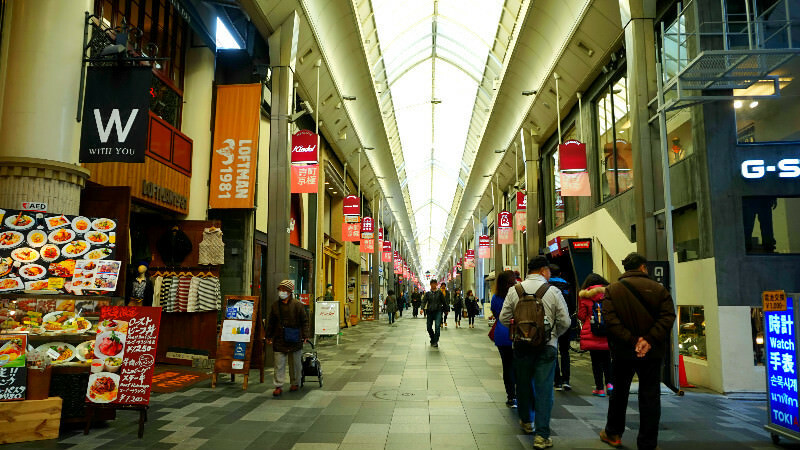 Enjoy shopping in Kyoto to the max!